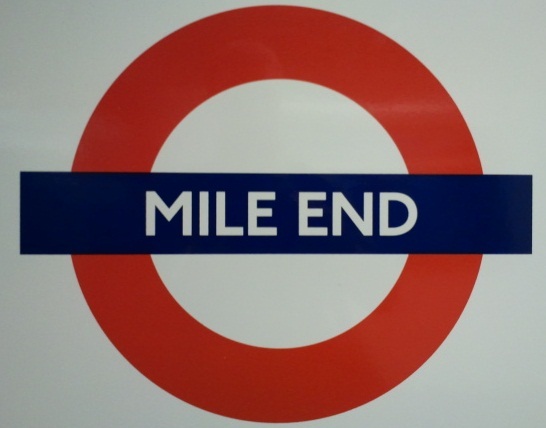 Mile End was recorded as La Mile ende in 1288. The then hamlet was so named because of its position on the old London - Colchester road at a distance of about one mile from Aldgate. The station was opened as MILE END on 2 June 1902. It was rebuilt and re-opened 4 December 1946.